I was very, very, very disappointed in this episode. Just when it started out okay and made it look like things were heading in the right direction, things have come to a screeching halt. I hate 11th hour endings and that’s what this series will end with. It’s…disappointing. These endings generally feel rushed and unsatisfactorily resolved. I have never really been disappointed with this drama until this episode (well…that and Asahina’s stupidity to try to play the ultimate bad guy and go against what he’s really feeling). Even though Toru has figured out his feelings and Natsui has figured out hers, the two just aren’t on the same page and are not moving any farther forward in their relationship. Reporters swarm the restaurant hoping to get an interview with Yoko about Asahina’s arrest and the restaurant staff are not happy. One chef starts whining and Nogi actually shuts him up. Awww, he’s protecting Yoko now. Nogi does tell her to take some time off until things calm down. Meanwhile, Toru learns that it was Tono who squealed on Asahina. I’m not exactly sure why. I mean, it wasn’t a cocky play by Tono as he looked pretty depressed and ragged, so I wonder if he got caught up in something and then revealed all of what happened. Thus, I can’t really hate the guy. If it was willful and malicious, then yeah, but it isn’t. You understand how badly he felt when he lost out to Toru and Asahina which is why he tried his own blackmail that Asahina used to his advantage and things just backfired on the two. Natsui is on the lookout for Toru and quickly tells the trio that trio that they must put on smiling faces for Toru. They do and Toru says there is no way such smiles can make anyone feel better. Natsui says she put her whole heart into it and then makes him coffee. News then comes that Next Innovation’s computers and everything else have been seized. The company is once again in dire straits. Natsui breaks the tense mood by reminding them all that they had a job request and they need to get cracking. We then get a cute scene where the boys talk about how rude Toru is while Natsui is schooling Toru in proper etiquette. If he doesn’t understand, what does he say? “You’re an idiot.” Natsui cheerfully points out that it’s really Toru who is the idiot and again teaches him the polite way to do it. LOL. She’s going to make him into the perfect, polite businessman. They then go to their first job where Toru does okay until he had to remember the customer’s name. Thus Natsui only gives him 75 points. Their teasing banter is so good in the first part of this episode. Too bad it’s ruined by epic failure to communicate in the last half. 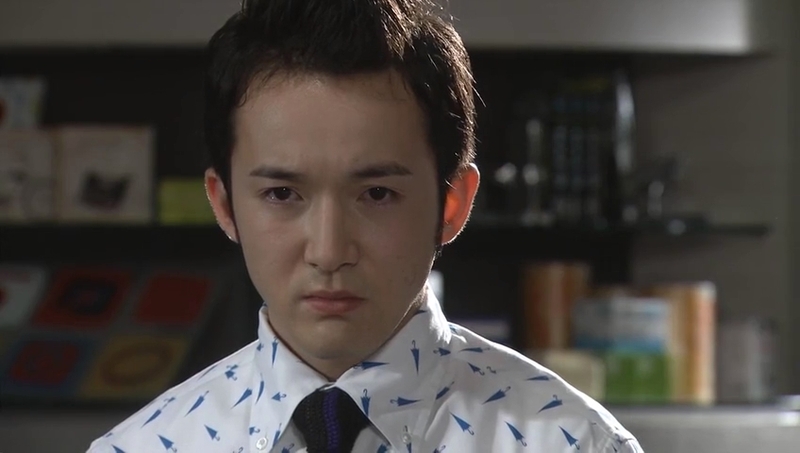 Toru goes to visit Asahina, but is told anyone involved with the case cannot come for 22 days. Thus he goes. Meanwhile Asahina is a wreck. He just stands in his cell completely lifeless. The guard notices this and is concerned. 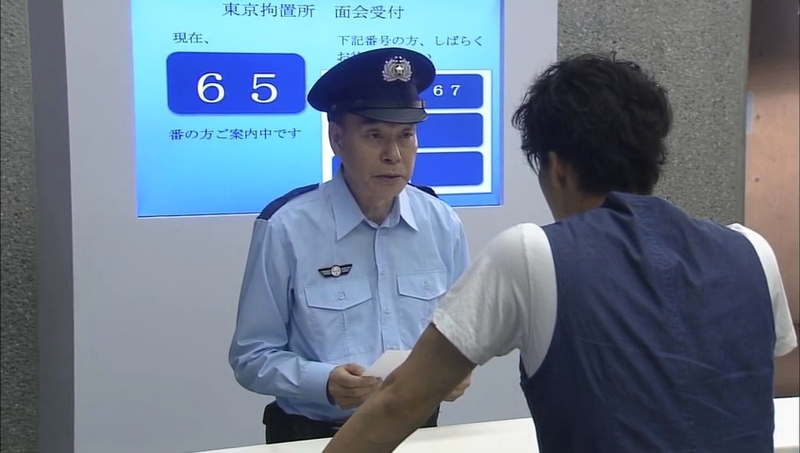 Toru then goes to his next meeting and this time he gets 89 points. He is annoyed at Natsui’s ability to remember all of his faults and he talks about how he sincerely wishes to help these people and how he wishes to convey his respect, etc. This makes Natsui happy. The two get on a buss and Natsui falls asleep and cuddles into Toru’s shoulder (the reverse of their airplane ride). 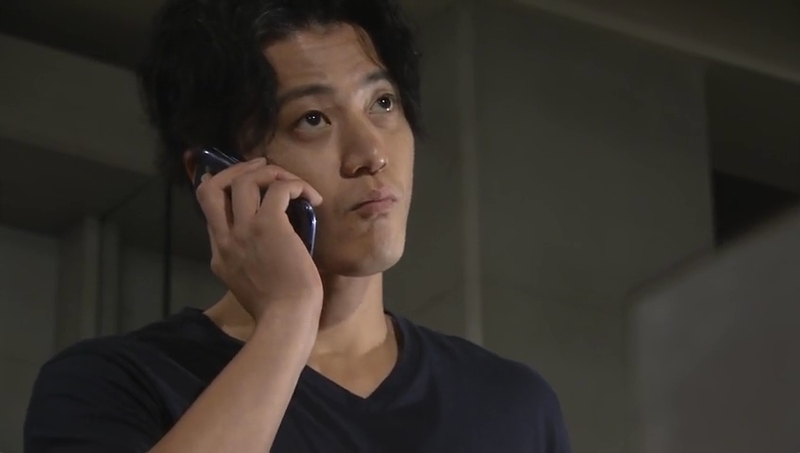 Toru hesitates for a bit, but he does lean his head on top of hers. Soooooo kawaii! Wonder Wall rolls out its first major project in which you go to a store and get a 3D scan of your body and then you can access the store’s inventory online and shop for the perfect outfits this way. Natsui is ecstatic by how well Toru is doing and how far he’s come. 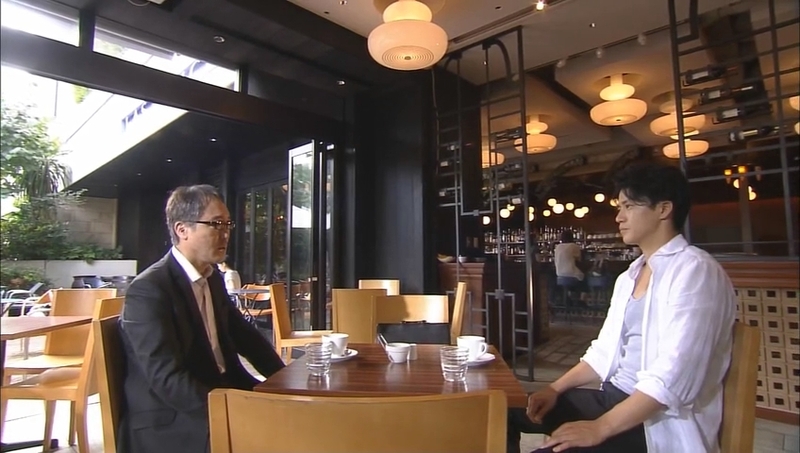 Ogawa and Hisoko go on to a different job while Yasuoka and Toru go out for drinks with the shop’s PR person. Toru invites Natsui, but she declines. He then asks how he did and Natsui gives him over 100 points which pleases Toru immensely. But this actually deflates Natsui. Toru is too perfect and too good at adapting—he doesn’t need her anymore. BAKA! And their relationship starts its downhill slide from their. The guard gives Asahina a comic to try to lighten him up as he’s afraid Asahina will basically shrivel up and die if he remains as he is and the guard is most likely right. He’s in such a bad state of depression right now. A more worn out Yamagami meets with Toru to ask him back to Next Innovation. Yamagami is feeling a lot of regret for noticing the chasm that came between the two men and not intervening before things got this bad. He really wants Toru to come back and save the company as he doesn’t want people to think that innovations and going against the grain can only last this long. Toru politely refuses as he has other duties now. Natsui goes as far as taking a break from Wonder Wall to go work at the lab she turned down. Ono wonders why she would do this and Natsui complains Toru is too perfect and it hurts to be with him (meaning she thinks she can only be with him when he needs her help). Again, BAKA! Toru is a little deflated by her break, but doesn’t think too much on it at first. But when time after time goes by and she isn’t coming back, isn’t returning his calls, he starts getting really anxious and antsy. Meanwhile, Natsui is hard at work doing test after test after test at the lab. When she does have free time, she ignores all of Toru’s calls. And what does that solve? Repeat after me…BAKA! I have to admit, though, thanks to this we get a really cute scene of Toru going to her apartment and seeing all the mail and wonder if she’s dead. 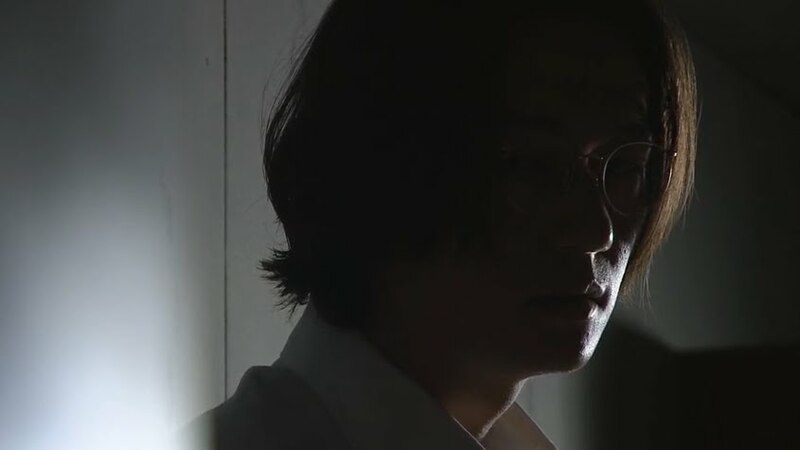 He even freaks the neighbor out by pressing his face to Natsui’s window—well he does look like a stalker. Toru angrily demands to know Natsui whereabouts and when she’s coming back, but Yasuoka really has no idea. Maybe she went to visit her parents in the countryside? Toru goes to the shrine and writhes in agony, complaining about her being a liar woman again. Seeing Toru in this state makes the monk happy. Toru has finally truly opened himself up to another person and it’s a good thing for him to experience this anxiety and confusion. LOL. So Toru ships off his duties to his subordinates and boards a train only to run into Yoko. What fate these two have. Yoko updates him on Asahina. Her brother doesn’t just refuse to see Toru (because apparently the 22 days have now passed), he refuses even his own family. Toru hopes that there will come a day when Asahina wishes to see him. Yoko believes that even if her brother is released, he’ll just disappear. Asahina returns the comic and the guard happily announces he will bring the second volume. Asahina sits in despair and says that he can’t laugh—it’s too horrible. He then starts crying as he recalls that Next Innovation was perfect and he ruined it. Toru is having the same thought. Yep, these two are definitely good friends. Too bad Asahina let some more minor things get in the way. I don’t cry easily, but that scene where Asahina realized just how stupid he was and how he ruined something that was perfect, it was really sad and heartbreaking for me. Natsui asks the head of the lab if the job helps people. This makes him pause. He then laughs and says that it does. Looks like Natsui wishes for a place where she truly belongs and can help people with her own talent and power. She could do that at Wonder Wall…but you know she won’t make the decision we want her to. I must say though that it looks like this job could totally ruin Natsui with the hours. She’s basically working nonstop and she doesn’t look happy. So isn’t that proof that this might not really be the right choice for her? Toru and Yoko get to Natsui’s hometown and again her mother treats Toru to a big feast. The Natsui family then talks about Makoto and how she’s in Tokyo. Her brother thinks she’s stupid for dropping her good job offers to start her own business with a man. Her mom says that Natsui always says she’s fine and Mrs. Natsui is just happy that Makoto is doing something she loves with the man she loves. This really makes Toru happy to hear, but he does get a bit uncomfortable with the mention of being in love. Afterward, Yoko encourages him to seek his mother out. She shows him what Asahina sent her and explains that her brother really did care even if it didn’t seem like it. Oh, the idiot. Actually, the idiocy in this drama is really getting ridiculous. So Toru goes to see his mother. He doesn’t introduce himself and eats her omurice in silence. So that’s why he’s so attached to omurice. Yoko asks if its okay for him not to say anything. Toru says it is as he was just happy to see Sawaki and to know she was doing well. That’s enough for him. Surprising isn’t it? Yoko then tells him that is because in his heart he’s already searching for someone else, isn’t he? That’s right, he’s looking for Natsui. Yoko scolds him for being brutally honest and also for not understanding what he wants. 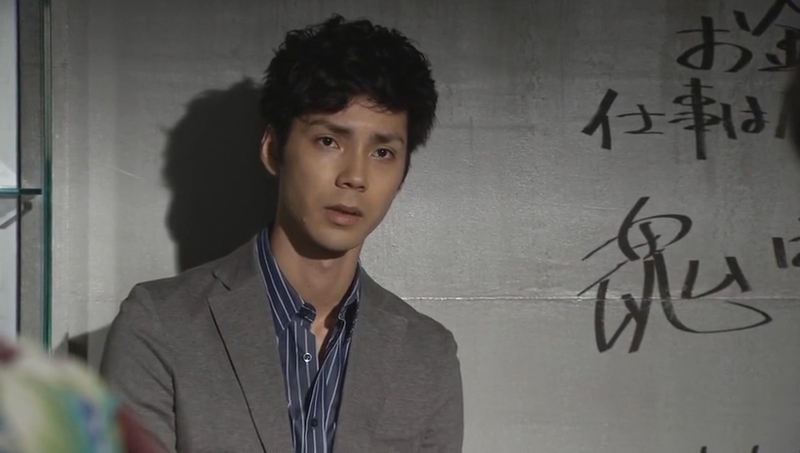 Toru rushes back to Tokyo where the trio learn from Sakaguchi that Toru is leaving Wonder Wall and them behind. Why? He’s returning to Next Innovation. This greatly upsets the trio. Sakaguchi then says that Toru earnestly requested Sakaguchi take the money from Toru’s initial investment and oversee the boys at Wonder Wall. The boys are upset as they believe it’s Toru that got them this far. Sakaguchi tells them to trust Toru’s faith in him and to also climb off of Toru’s back. That’s right. They need to be able to spread their wings and truly fly from Toru’s nest. Did it Toru’s decision shock me? Not at all. Toru finds out where Natsui works and meets with her. He complains how he had to go to great lengths to find her. They both then say they have something to tell one another. Toru ends up going first and he tells her about his plans to go back to save Next Innovation (so Asahina has a replace to return to) even though he isn’t confident he can do it. Natsui tells him that he can do anything and that does pep Toru up. She’s shocked to learn he went to her hometown and asks if he met Sawaki. He tells her what happened and she completely misunderstands his point when he said he’s okay with having found his mother and not telling her who he is because he’s searching for someone else. Before he elaborates on who, he tells her to go ahead. Natsui tells him she’s going to work full-time at the lab as it’s something she can do. Toru unhappily encourages her and puts on his cocky front when she apologizes about not keeping her promise to remain at his side. And that’s it really. Toru doesn’t confess his newly discovered feelings. Natsui never voices her own feelings (which have been completely obvious all this time) an what little progress we had has now been completely lost. 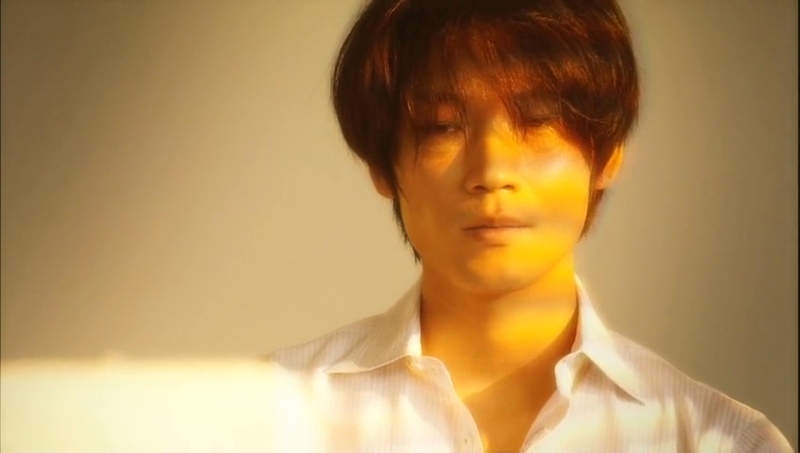 I love all your screencaps, especially the one with Natsui & Toru leaning on each other. Oh, and I love your new site layout! 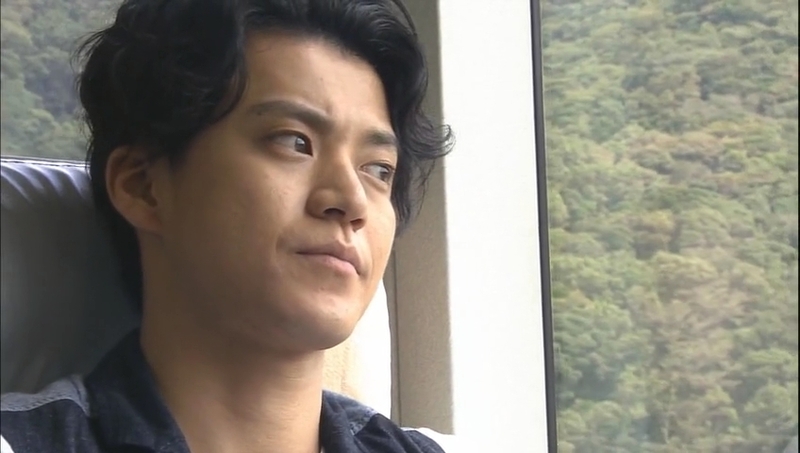 I really enjoyed that scene with Toru & Natsui on the bus. You’re welcome & thank you! 🙂 Glad you are enjoying them. Thanks for another great recap. I must agree with you the the end (and really second part of the episode) left me quite frustrated. It’s has if our leads take one step forward and three steps back. It’s so obvious to everyone their feelings for each other and how important they are to one another but the fact that they don’t come out and say it, makes my blood pressure go up. LOL. I’m really hoping that in the final episode we get a clear cut confession of who they feel about each other. I would really like it if it was iniated by Toru because I think it’s been obvious that Natsui has had feelings for him for a long time. I want them to act like adults and just SAY IT (I know they can do it 😉 And if we can get at least one kiss that would be the cherry on top of the sundae. I look forward to seeing how things will be wrapped up and I’m crossing my fingers that we will get a good ending. It looks like we might get a good ending once the next innovation part is over. I think Toru will confess to Natsui with that airport scene (which has really been overdone in dramas, but still).